As a blogger, I am sure you can realize the amount of technology and electronics we have in our home. They are a huge part of my life as well as my families in this day and age! Being up on the newest and best in each category is of course key. I was given the wonderful opportunity to review the HB30P7 USB 3.0 7-Port Hub which would ultimately create a more organized and efficient lifestyle for my family filled with techies! 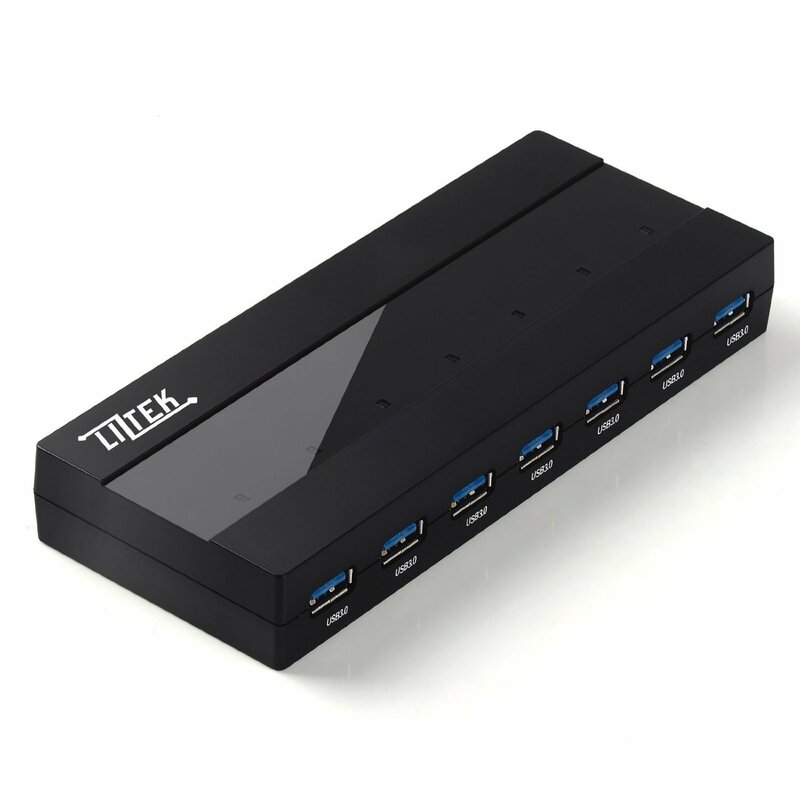 This wonderful tool not only adds 7 super speed USB ports to my computer (similar to how a power strip works) but it also adds up to 5Gbps transfer rates depending on which devices you have connected. I love that there are LEDF lights to indicate what is charging or transferring data. Even better there is "Built-in Overvoltage/Over-current/Leakage/Short Circuit" which helps prevent my phone or other devices from over charging and frying the battery. This little device works with pretty much every smartphone, tablet, music player with USB. We tested this out right away and I've got to tell you in works extremely well even when using all ports and charging multiple devices at the same time. This has become an organizational life saver providing USB ports to charge our devices at the same time. We now use this as a hub in our living room where every one can charge their devices without arguing over plugs or whose gadget has the least amount of battery life. I plan on using this anytime we travel as well since it is easily portable! Recommendation: To be honest you pay 3x this for most phones/devices these days and most of the accessories themselves are a minimum of $30 a piece. Now with this, you don't have to worry about fighting over outlets, cords, etc. and can even take it all on the go wherever that may be! 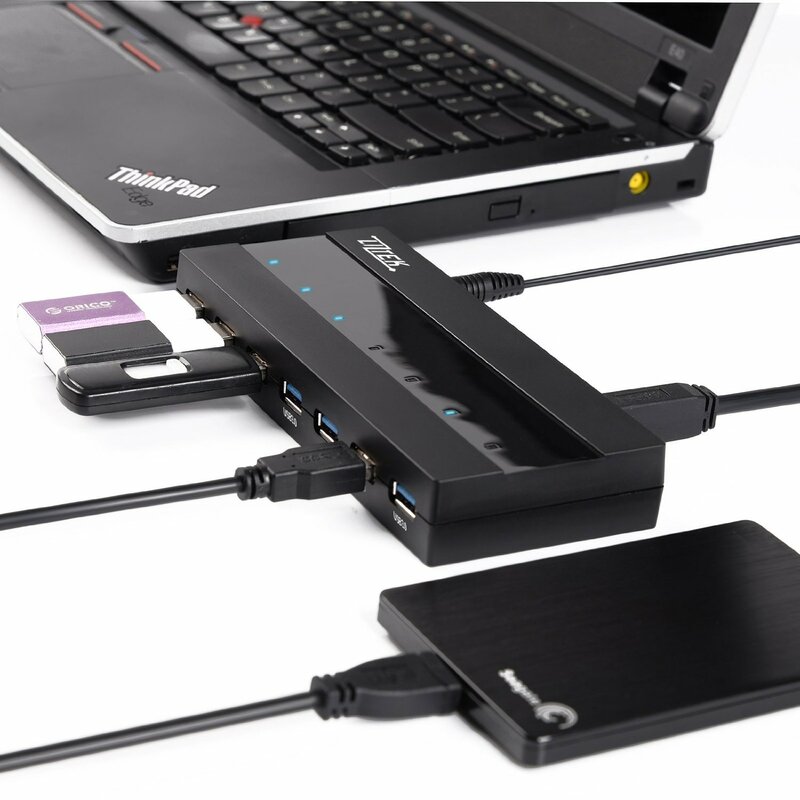 Well worth the purchase and makes for a great gift for the techie in your life.